Facebook has become one of the most popular social media networks there is. So how can you use Facebook for business and gain more customers? Social media has become a staple in the business community, an ever-present figure in daily life. You want to grow your business, but let’s face it. Effectively marketing your business takes time and a whole lot of effort. And as a business owner, you’re busy wearing multiple hats as you work to take your company to the next level. We get it. As a business ourselves, we know how much time goes into the daily operations of running a company. But what if we told you you likely already have a tool at your disposal to help with your marketing efforts? Facebook, as a marketing tool, offers you the opportunity to target your audience, add an additional revenue stream, and network with potential clients. And if you’re one of the 63% of businesses who say generating traffic and leads is their company’s top marketing challenge, Facebook can help drive customers to your business and provide usable content to promote your product or service to a targeted audience. 79% of people online use Facebook. 74% of users say they use Facebook professionally. 76% use the social media platform to find content. Even if your business already use Facebook for marketing, the social media platform offers several features that you may not be aware of - and are simply a click away from to take the online presence to get your business where it should be, on top. If you are just launching your business or deciding to delve into social media marketing, probably one the first questions you will have is, "Is Facebook right for my business?" The results vary depending on what type of business you are. As a general rule Business to Consumer (B2C) businesses tend to better with Facebook marketing than Business to Business (B2B) businesses. The bottom line is that will likely have to test each social media channel to see which offers the greater return to you. As you can see from this B2B company, LinkedIn offers them a greater return on their investment. 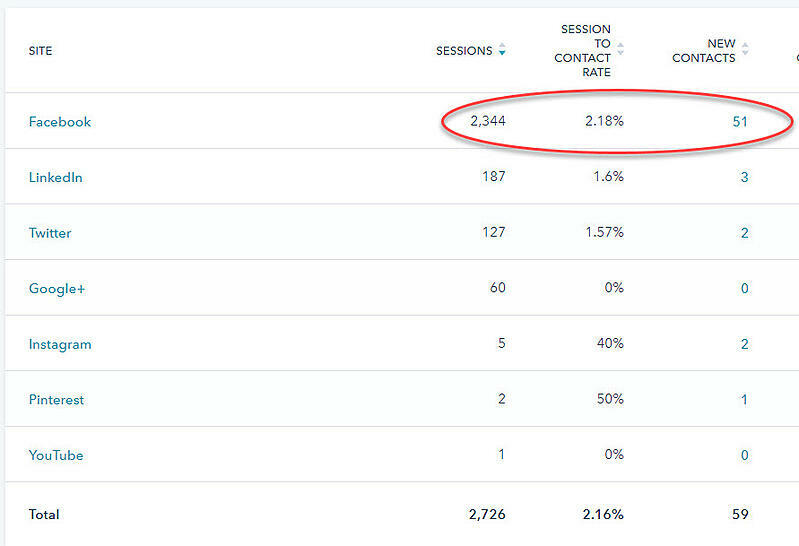 Even though the number sessions is far lower than Facebook, the number of leads they have received is tripled. They could then use this information to decide on increasing their social media marketing budget knowing they will get a better ROI by focusing on LinkedIn related ads and posts. By contrast, this B2C company actually gets a much greater return by using Facebook. The contrast between the two illustrates that experimentation is needed to determine what would better for particular business. Do not make decisions on a "gut feeling." Let the data tell you where to spend your money. As valuable as Facebook is for large organizations, it can prove even more useful to small- and medium-sized businesses trying to capture a larger slice of their market. In the past, in fact, smaller businesses couldn’t keep pace with deep-pocketed corporations in trying to reach customers in remote or distant locations. Nevermind the cost of more traditional advertising in newspapers and on TV. One ad alone could use an entire month’s budget for advertising - or more. Facebook makes connecting with those target consumers a much more realistic goal because you can expand your presence beyond a physical location, essentially setting up shop on one of the world’s largest and most heavily trafficked websites - often for a fraction of the cost of what you would pay for other advertising services. When you sign up for Facebook, you no longer need to have your business page attached to a person’s Facebook profile. You will need to enter personal information so Facebook can contact you, but the process of getting a business page set up is a lot easier now. If you business page is already attached to your personal profile, it's fine. You business connections and personal connections stay private from each other. It is important to note that Facebook does not necessarily work for every business, such as those that operate business-to-business. But, if you determine that your target market utilizes Facebook, your next step would be to figure out how the social media platform can help. You may discover that simply having a presence on Facebook is enough to connect with customers and drive them to your business. For companies that focus on a business-to-consumer relationship, however, Facebook can be a huge marketing tool. There are more than 60 million active business pages on Facebook. And while you’re not competing against every single one of them, you do need to make sure you’re following some simple tips to ensure your posts draw attention. Use a recognizable profile picture. This can be your logo, or something else that allows anyone to more easily find you in the sea of Facebook pages that’s out there. Your story, which gives you the opportunity to share how your business began, with the option of including a photo. Use Facebook Messenger. If your business isn’t using Messenger as a way to connect with potential or current clients, you’re missing out on an easy way to communicate. You can target your audience through Messenger ads, or use it as a way to implement more convenient customer service. The single-most important variable in creating a successful Facebook page is creating useful, interesting content. This process relates, ultimately, to how well you can engage your target consumers. 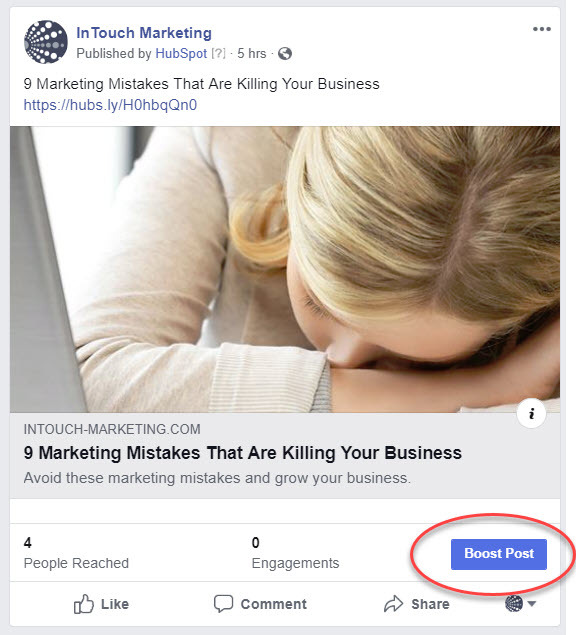 For starters, you will want to create Facebook posts - the central method of content creation - that speak to the needs and wants of your customers. When you write these posts, you’ll want to attach a link that directs them to an external webpage, such as a specific page on your company’s website. The ideal situation is to write a compelling Facebook post that leads online users to a landing page expounding on the topic addressed on Facebook. This chain of content essentially serves as an avenue for lead generation, giving you the opportunity to convert referrals and expand your revenue streams. Use multimedia posts. According to Facebook, visual content in campaigns generates 65% more engagement after a month. Post during the most strategic times of day. That would be between 1 and 4 p.m., when the highest click-through and share rates occur. Don’t over-post. Don’t overwhelm customers by over-posting. Limit your posts to no more than three per day. Otherwise, potential customers may “un-like” you in an effort to unclog their newsfeeds. Make your messages match. This is important when you begin to engage in any marketing campaigns using the Facebook platform. You want to keep your messaging short and succinct, but informational. You want to make sure visitors know what services you offer and how you can help them. All of your content should be created with the end goal of getting customers or other businesses to share your content. Known as “social shares,” this content distribution is one of the most sought-after forms of marketing because it can spread organically. And, if your posts are being shared, there is not cost to you at all. In addition to generating leads leads, Facebook also can provide an additional SEO boost. Upload your logo or a customized profile picture that represents what services you provide. This helps provide information to consumers even before they begin scrolling down your page. Add applications that allow you to better manage your page, as well as make it interactive for your customers. There also are several apps that let you create polls, add e-commerce and set up blog feeds. There’s even apps that allow you to conduct meetings online. Interact with your fans by “liking” people’s comments, responding to their posts on your page and facilitating ongoing conversations - either on your page or through Facebook Messenger. Make sure you do so in a timely manner. This builds relationships and lets customers know you can respond to their needs quickly. Advertising on Facebook can be one of the most cost-efficient ways of reaching the masses. Facebook Ads allow you to promote your product or service on Facebook, while targeting specific audiences you want to reach. When setting up an ad, you can choose target audiences based on a variety of factors, from their location to demographics, web activity interests, and much more. You may have heard of Google AdWords and are wondering how that differs from Facebook Ads. Both networks use geographic targeting to match who you want to target with your advertisement. However, the major difference lies in your users’ intent. Google AdWords works well when someone is searching for a service or product you have to offer. This network is user-driven. Facebooks Ads works well in attracting users who don’t necessarily know you exist yet. Facebook Ads create awareness about your business by connecting you with people the network believes would match your customer or client profile. 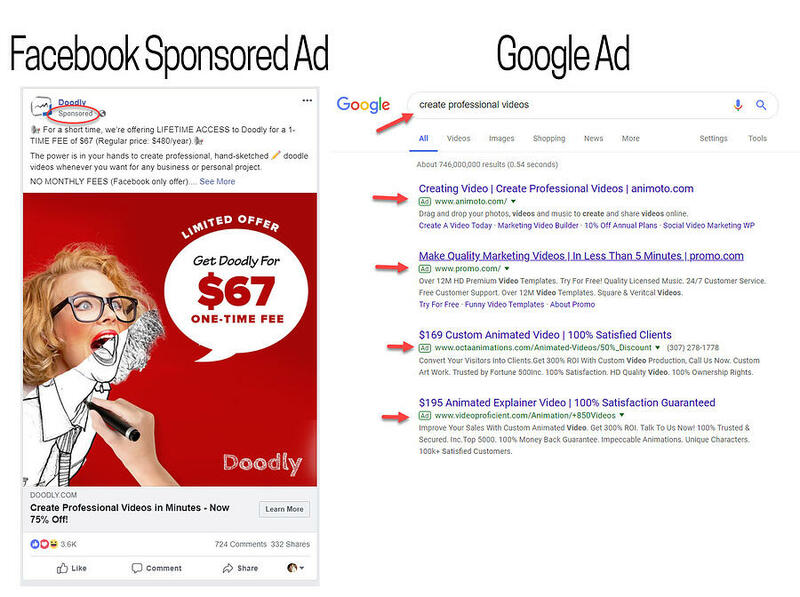 You can read more about which is better for your business in our article, Facebook Ads Vs. Google AdWords: Which Is Better For Your Small Business? Once an ad is published, you can follow its analytics, which track the number of users who interact with the ad, and allows you to better understand the effectiveness of the ad. Part of Facebook Insights, these analytics can help drive more growth with future advertisements. 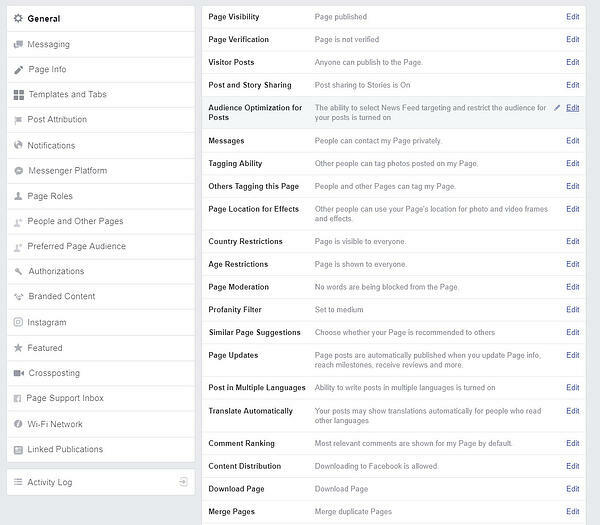 Facebook makes setting up an ad easy, allowing you to choose from several different formats. You also can include photos, multiple images or even videos. 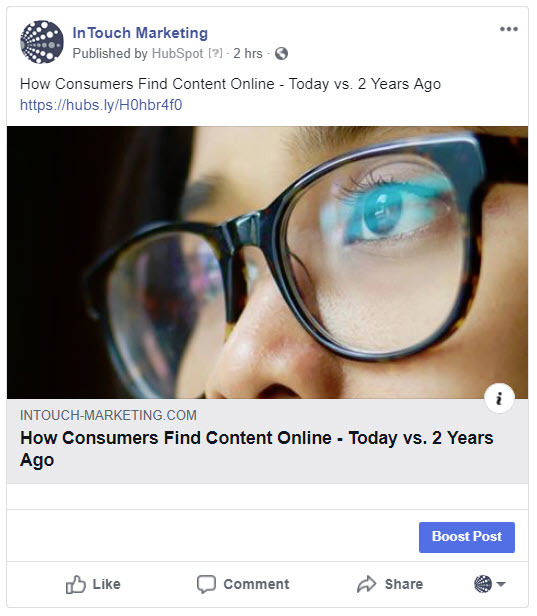 Another item to note: You can also “boost” Facebook posts, which allows your post to cast a wider net, or be seen by a wider audience. Want to know more about how Facebook Insights can help drive business? 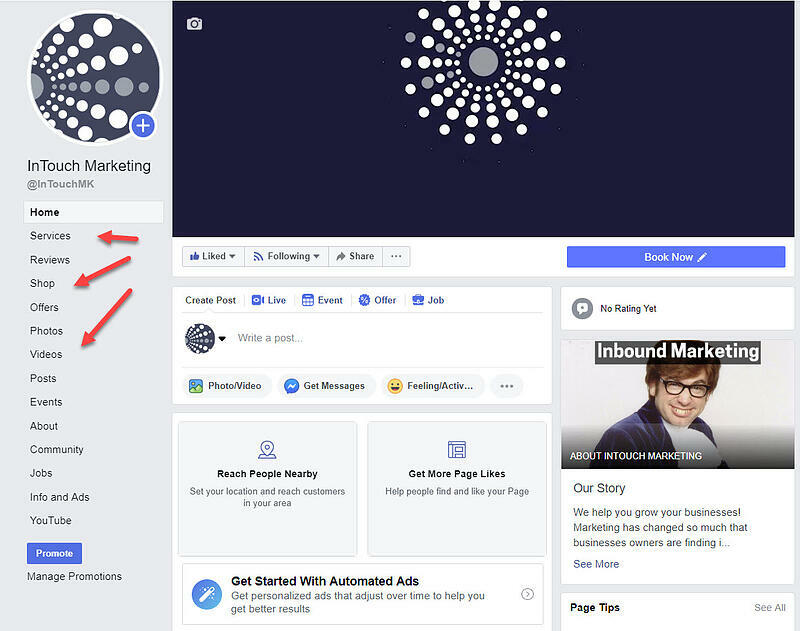 Our article, How To Use Facebook Insights To Optimize Social Media Posts, helps navigate you through the ins and outs of who’s looking at your business page. Even as Facebook has become a widely-used marketing tool in the business community, some companies continue to resist the social media platform or do not use it to its full potential. Whether they’re intimidated or because they still believe Facebook is a passing fad, those businesses have chosen to sit on the sidelines while their competitors establish a larger online following. It’s clear Facebook isn’t going anywhere, and as it continues to roll out features that increase its value to businesses of all sizes, it’s critical that your business takes full advantage. With a little diligence, you can make social media work for you to generate leads, and ultimately, increase revenues.